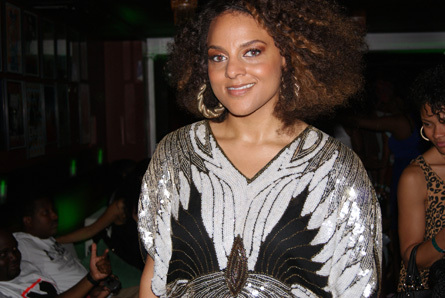 Marsha from Floetry poses for vigoronline.com. Photo by Leon Laing. On the heels of her debut album’s release, Marsha Ambrosius will hold an inside-the-studio event at Warmdaddy’s in Philadelphia on Sept. 16. The singer with robust vocals is also a songwriter who wrote for the late King of Pop. Ambrosius will drop her album, Late Nights & Early Mornings, later this year. To RSVP for this show, send an e-mail to itsthelifeshow@gmail.com. And the following acts will perform at Powerhouse in Philly on Oct. 22: Drake, Ne-Yo, Rick Ross, Jazmine Sullivan and Meek Millz. Want to open up for Powerhouse? Click here for details. See below for more info on events in September. Sept. 11: Corinne Bailey Rae. 7:30 p.m., Electric Factory in Philadelphia. Web: livenation.com. Sept. 11: Little Brother. 9 p.m., Theater of the Living Arts in Philadelphia.Web: livenation.com. Sept. 11: 2 Live Crew. 10 p.m., West Shore Hardware Bar in Mechanicsburg. Web: downtownafterdark.com. Sept. 14 and 15: Lady Gaga. 8 p.m., Wells Fargo Center (formerly Wachovia Center) in Philadelphia. Web: livenation.com. Sept. 15: Janelle Monáe. 8 p.m., Electric Factory in Philadelphia. Web: livenation.com. Sept. 16: Wiz Khalifa. 7 p.m., Trocadero in Philadelphia. Web: livenation.com. Sept. 17: Lloyd Banks. Doors open at 6 p.m., Crocodile Rock in Allentown. Web: www.crocodilerockcafe.com. Sept 24: T.I. 8 p.m., Bryce Jordan Center in State College. Web: livenation.com. Sept. 26: M.I.A. 8 p.m., The Electric Factory in Philadelphia. Web: livenation.com. Sept. 27: Pac Div. 9 p.m., Johnny Brenda’s in Philadelphia. Web: johnnybrendas.com. Sept. 24: Paparazzi Stylin’ fashion show. Doors open at 6:30 p.m., show begins at 7 p.m., Zembo Shrine in Harrisburg. Phone: 717.315.1880. Sept. 12: 10th Annual Heavyword Poetry Slam Championship. 6 p.m., Appalachian Brewing Co. in Harrisburg. Phone: 717.701.0665. Sept. 12: 2010 MTV Video Music Awards. 9 p.m. on MTV. Web: vma.mtv.com.